TOKYO (Reuters): Sony Corp said on Tuesday it would pay about $2.3 billion to gain control of EMI, becoming the world’s largest music publisher in an industry that has found new life on the back of streaming services. The acquisition is the biggest strategic move yet by new CEO Kenichiro Yoshida and gives Sony a catalogue of more than 2 million songs from artists such as Kanye West, Sam Smith and Sia. 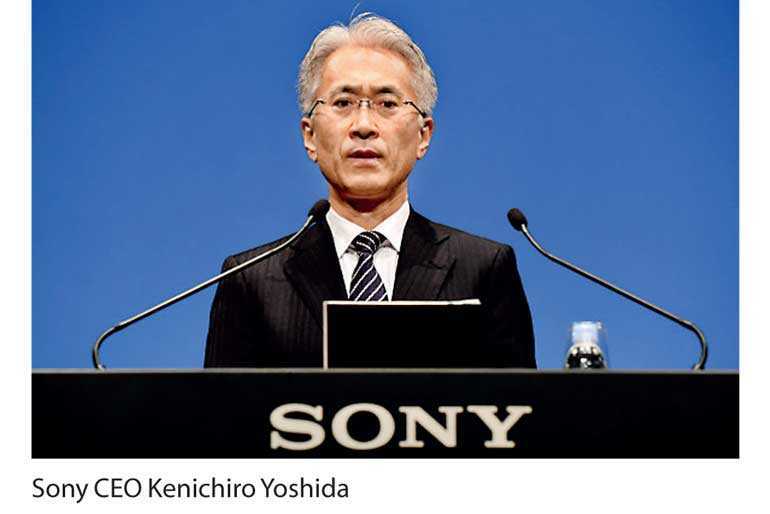 The deal is part of Yoshida’s mission to make revenue streams more stable with rights to entertainment content - a strategy that follows a major revamp by his predecessor which shifted Sony’s focus away from low-margin consumer electronics. “This investment in content intellectual property is a key stepping stone for our long-term growth,” he told a news conference. The spread of the internet led to a shrinking of the music market from around 1999 to 2014, Yoshida said, but added that has turned around with the growth of fixed-price music streaming services. “The rise in digital streaming is also expanding songwriter royalty revenues, with Sony capturing value as manager of the copyrights backed by direct deals with the likes of Spotify, Apple Music, Google Play, SoundCloud and YouTube,” Macquarie analyst Damian Thong said in a report. The deal values EMI Music Publishing at $4.75 billion including debt, more than double the $2.2 billion value given in 2011 when a consortium led by Sony won bidding rights for the company. Sony, which has run the business since then, will buy a 60% stake owned by Mubadala Investment Company, lifting its ownership to around 90% from 30% currently. EMI currently commands 15% of the music publishing industry which combined with its Sony ATV business would make the Japanese giant the industry leader with market share of 26%, a company spokesman said. Other major players include Universal Music Group and Warner Music Group although their market share figures were not immediately available. Yoshida, who took the helm in April, also beefed up Sony’s content offerings this month with a $185 million deal to take a 39% stake in Peanuts Holdings, the company behind Snoopy and Charlie Brown. Also unveiling a new three-year business plan on Tuesday, Yoshida said on Tuesday that his strategy was to prioritise stable cash flow while minimising the impact of volatile sales cycles of game consoles and other electronic gadgets. The company said it aims to generate a total of 2 trillion yen ($18 billion) or more in cash flow over the next three years, up by at least a third from the previous three years. Image sensors, a pillar of growth for Sony as it restructured in recent years, as well as gaming are set to be biggest profit contributors. Operating profit at its semiconductor business, which includes image sensors, is expected to grow to 160-200 billion yen in the financial year ending March 2021, compared with a prediction of 100 billion yen for this year. Extending the sensors’ applications beyond smartphones into automotive areas would be key, Yoshida said, adding that investment in sensors will account for the biggest proportion of a planned 1 trillion yen in capital expenditure over three years. But operating profit at its video games unit is expected to fall to between 130 billion yen and 170 billion yen, down from 190 billion yen forecast for this financial year. At that time, its PlayStation 4 would be nearing the end of a game console’s typical life cycle.